RHYS BOWEN: It's always a an exciting day when my partner-in-crime Cara Black releases a new Aimee Leduc novel and always a pleasure to welcome her back to Jungle Reds. It's especially fun today because I'm chatting with her actually IN PARIS. So bonjour Cara! Can you describe to us where you are staying and what you can see out of your window? 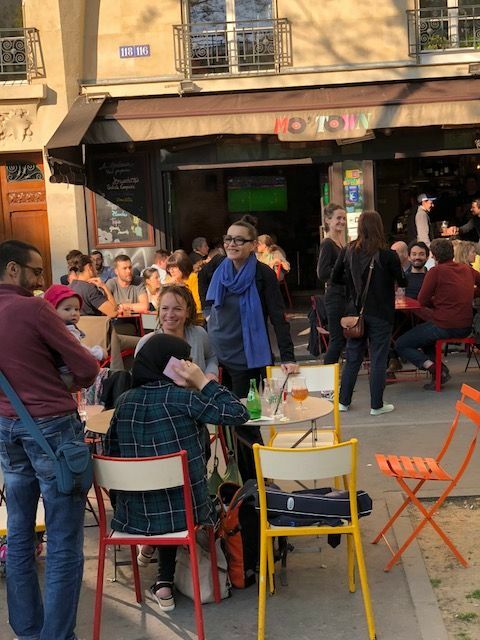 Is it an arrondissement you have already written about? CARA BLACK: Bonjour Rhys and Reds! I’m staying at my friend, Jo’s apartment in Belleville - known Jo for aeons - and cat sitting ‘Nut’ who’s 18 years old. She’s almost as frisky and certainly as naughty as in her kitty days. Still we’ve titled her the dowager Nut. Out the window is Nut’s perch, the school yard of the neighbouring Ecole Maternelle and gardens. Jo’s daughter went to this school next door and she could literally see her playing. Right now I’m hearing birds, children playing at recess, laughing, lots of French and the school bell. 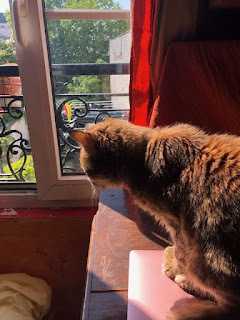 It’s wonderful to be back in Belleville - in Paris’ 20th arrondissement - where I set my second book, Murder in Belleville. Actually one of the scenes was inspired by this very view from Jo’s kitchen window from under which wind a labyrinth of alley ways past the garden, to the street. RHYS: So tell us about the new book: where is it set, what’s it about and when does it come out? 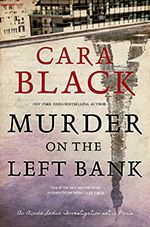 CARA: Murder on the Left Bank comes out June 19th. This is Aimée Leduc’s 18th - hard to believe, right? 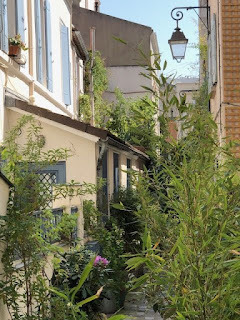 - investigation which is set in the 13th arrondissement on the Left Bank. I’m throwing out a lot of numbers but Paris is divided on two banks into 20 arrondissements, each area with neighbourhoods/quartiers having a different flavor and it’s own reputation. Murder on the Left Bank takes place in the 13th which used to be a ‘too far for moi’ zone for a lot of Parisians. A reputation for factories, communist workers, the former royal Gobelins tapestry factory and the biggest Chinatown - actually le petit Asie is more correct. To me, despite some of the modern buildings and upside down table shaped Bibliotheque Mitterand there’s so many pockets of charm - sloping cobbled lanes of two story workers houses dripping with ivy and now taken over by les bobo’s, a large Asian community who centre around 60’s tower blocks, the Gobelins tapestry factory with surrounding buildings from the 17th century, incredible street art promoted by the Socialist mayor and last, but not it least, the Seine. rambling about the quartier I’ve come to love so here’s a bit about the story. It’s September 1999, a dying man drags his oxygen machine into the office of Éric Besson, a lawyer in Paris’s 13th arrondissement. The old man, an accountant, is carrying a dilapidated notebook full of meticulous investment records. For decades, he has been helping a cadre of dirty cops launder stolen money. The notebook contains his full confession—he’s waited 50 years to make it, and now it can’t wait another day. 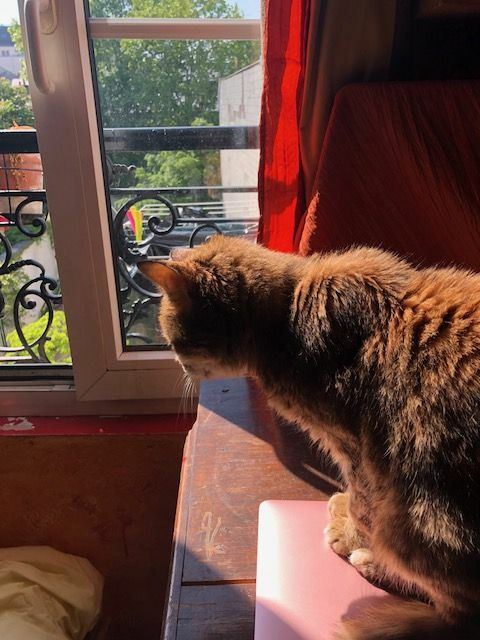 He is adamant that Besson get the notebook into the hands of La Proc, Paris’s chief prosecuting attorney, so the corruption can finally be brought to light. But en route to La Proc, Besson’s courier—his assistant and nephew—is murdered, and the notebook disappears. RHYS: I believe you told me that for the next book you are actually taking Aimée out of Paris. Is this something we’ll see more often in the series in future? After all, how many more arrondissements are there? CARA: That’s the plan but I’m still pondering. 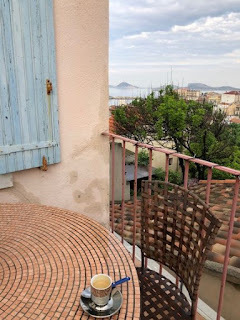 I zipped down to Marseille - it’s only three hours away on the TGV - and drank in the Mediterranean light, all those pastel houses with shutters and steep winding narrow streets in the panier, the basket. Remember the French Connection? Oh, and I met a Corsican mob member and a Marseille gangster who wrote and script and is trying to sell it at Cannes this week! Getting back to your question, I’ve only got two more arrondissements left so Aimée might be going to Marseille. CARA:-That’s an interesting question. Her character arc, as it’s always seemed to me, is her reckoning with her family’s past and secrets and whether she can trust her godfather - had he betrayed her father? Will she understand and come to terms with what she finds concerning her father’s murder and her mother’s link to the CIA? She’s developed in her own way, and now as a mother with an almost toddler, she’ll need to move on. I think she’s going to find the right man even though she’s attracted to bad boys and his name…for me the series will come to a natural end…stay tuned. RHYS: Are you still enjoying spending time with her as much as you did when you write Murder in the Marais? Or are you toying with other ideas? A stand-alone perhaps? CARA: Absolutely! While I’ve been in Paris, I’m sort of spending time with Aimée ie. going window shopping with her in Saint Germain, eyeing shoes she’d wear, riding the Metro thinking how she’d react and she’s a great companion. It’s second nature. But I’m also thinking of a stand-alone set during World War II in Paris which would incorporate some of the incredible stories I’ve heard on visit from people who lived during the Occupation. RHYS: What is the most fun thing you are going to be doing on this trip? CARA: Hanging with Oliver, who runs the podcast the Earful Tower, and riding on his scooter. We rode from Aimée’s 17th century apartment on the Ile Saint-Louis to her office Leduc Detective (based at the real Duluc Detective) on rue du Louvre. We filmed it too. So fun and narrowly missed being caught by the traffic flics. I timed it eight minutes but know Aimée would get their faster and take shortcuts. RHYS: What, no pix of you on the back of a scooter? Je suis desole! 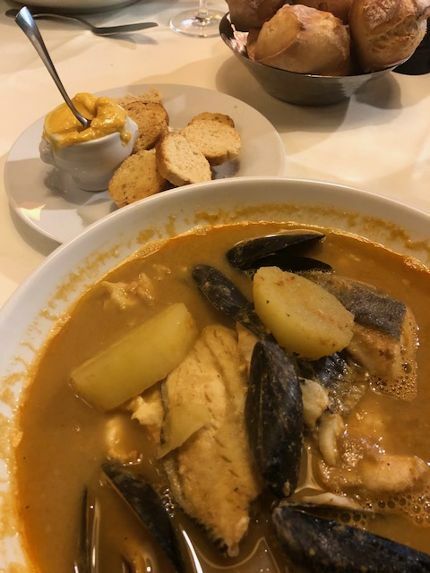 What is the best food you’ve eaten so far? Pix if possible please. RHYS:Have you found any fabulous flea market clothes? CARA:Seriously? My limit was one - a Parisian leather jacket with a gently worn collar, how could I resist? RHYS: How can anyone resist Cara's yummy Parisian novels? They are the next best thing to a t trip across the Pond. And Cara is going to give away three signed copies of the new book to people who sign up for her newsletter. Here is the link:carablacknewsletter@gmail.com She'll be stopping by today to chat. Thank you so much mon amie! I always love seeing your pictures when you return. And check out Cara's website at www.carablack.com, or visit her on Facebook, Instagram, Twitter. Congratulations on your latest book, Cara . . . a new Aimee Leduc book is always a treat. The pictures are gorgeous . . . thanks for sharing. Merci, Joan...I've taken tons more photos too! Welcome Cara--can you please get me on the list for catsitting Nut? Congratulations on the new book! I look forward to returning to Paris with Aimee. Bonjour Roberta, I'll talk to my pal JO! well how very jealous am I of Rhys and Cara?! Loved reading this and can't wait to read the next Aimee. Cara, it was fun being able to come to one of your book signings in Paris last year. I've talked Donald into going to Paris with me this year, but I'm sad that you and I will be missing one another. I think I could use your help looking for some fun vintage clothing at Les Puces. That was a fun signing at WHSmith in the upstairs tea room, non? So glad you and Lesa made it! Not only les Puces but most weekends there are 'vide greniers' and 'brocantes' in the different arrondissements - you know small local flea markets to key an eye out for! We'll be staying on the Ile saint louis - I'll be on the look-out. any suggestions? (I'll also be stalking Aimee at her residence, of course!). Will do - Thank you!! Congratulations, Cara! Such wonderful pictures. I am so jealous but delight to have a new Aimee Leduc to read. Yay!!! OH, such wonderful photos...sigh --can't we ALL go to Paris? With the Cara Black vintage clothing tour?? And as much as I'd adore to read your standalone, Cara, I'm very very happy with another Aimee! Your latest sounds terrific, Cara, and I love the idea of being immersed in one of the lesser-known arrondissements! Are you fluent in French? Were you already when you started the series or did you learn "on the job" so to speak? Ingrid, it's funny but my elementary school French (taught by French nuns in those days) stood me for awhile but those nuance and puns eluded me. I get by and read much better than I speak. 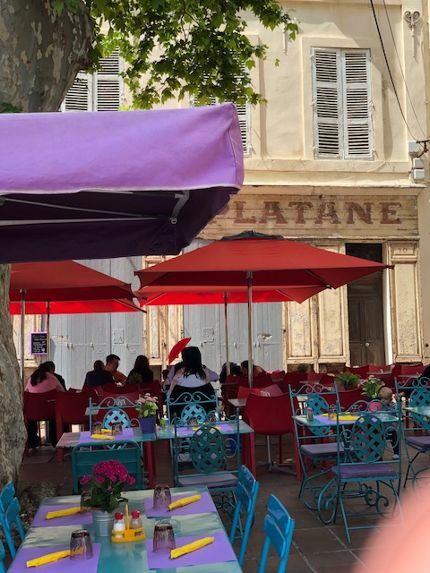 And in today's Paris there's so much argot, slang and Parisians tend to drop the last part of the word even like Bonj...le mat...which is sort of like hey hi, and this morning (Mat for matin) requires fine tuning at least for me. Thanks for the explanations of the arrondissements. Somehow I don't think I realized there were only twenty. 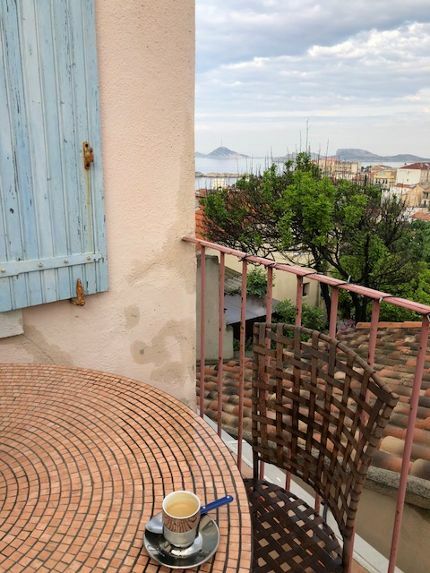 I certainly hope you'll send Aimee to Marseille--I'm not ready for you to run out of arrondissements, or for her story to be over. I do like the idea of the WWII standalone, though! Remember what a great plotting session we had last year in San Francisco? I wish we could do that again! Me, too! I'll plot with you anytime, anyplace, Debs. I've got a few more arrondissements to go so after the historical will be another Aimée. It might have to do with an old abbatoir up the canal but those ideas are simmering on hold. Thanks for the heads up on the historical...it's a different experience and crossing fingers! I will look out for Murder on the Left Bank. One of my favorite books is a memoir or a book of essays called The Piano Shop on the Left Bank by Thad Carhart. Hi Cara & Rhys! Wow, this post is timely as I'm currently in the middle of reading Murder in the Bastille, which is one of the books in the series I'd missed. I signed up for the newsletter, and appreciate the chance to win a copy of your latest. 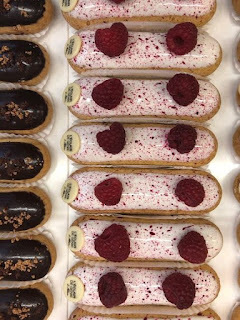 I always look forward to reading anything set in Paris, and so enjoy Aimee's exploits. 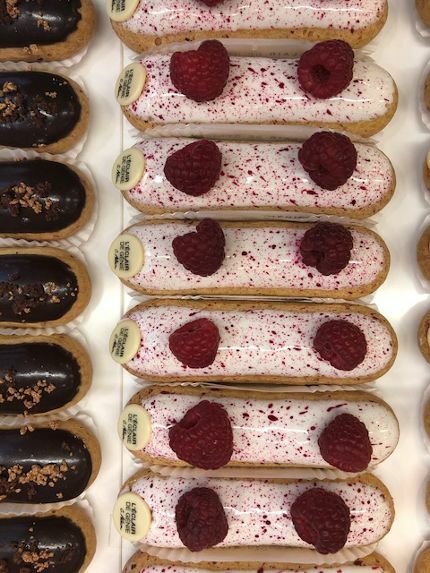 Hope you're having fun in the City of Lights! I'd love to sign up for your newsletter, Cara. The concept of arrondissements has been hard for me to visualize. Are they large, small? I imagine they may be equivalent to our county or even smaller municipality: township or borough. Anyway, I'd love to receive your latest Aimee story. I'll go look up earlier books since, I'm embarrassed to admit, she's new to me.